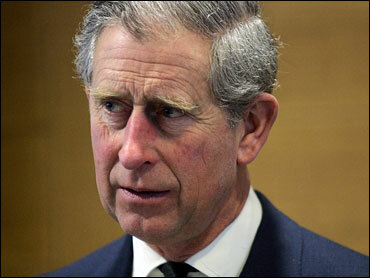 Britain's Prince Charles warned Thursday that historic sites like the Tower of London have been "vandalized" by high-rise construction, threatening to ruin the character of the architecture. The heir to the British throne, who spoke at a conference on city planning, argued that poor planning could damage the integrity of Britain's historical areas - particularly if tall buildings dwarf smaller structures. "We seem to be determined to vandalize these few remaining sites which retain the kind of human scale and timeless character that so attract people to them and which increase in value as time goes by," Charles said at St. James's Palace. The speech is a challenge to London Mayor Ken Livingstone's support for a project near the Tower. The "Shard of Glass" structure would be Britain's tallest skyscraper. Charles suggested tall buildings be clustered into corporate areas where they would not tower over historic sites. He cited the planning of La Defense in Paris, a business district full of skyscrapers kept separate from Paris's most famous museums and landmarks. "The key point I want to make is that I am not opposed to all tall buildings," he said. "My concern is that they should be considered in their context; in other words, they should be put where they fit properly." His speech also took aim at plans to build more than 3 million new homes by 2020 - development Charles said should be done right. "My concern is that London will become just like everywhere else with the same homogenized buildings that express nothing but outdated unsustainability," he said. In 1984 Charles referred to a proposed addition to London's National Gallery as a "monstrous carbuncle." More skyscrapers in London would be worse, he said. "Not just one carbuncle, ladies and gentlemen, on the face of a much-loved old friend, but a positive rash of them that will disfigure precious views and disinherit future generations of Londoners," he said.